Sound energy is a form of energy because of which our ears are able to hear something. One cannot create sound or destroy it. But one can transform one form of energy into sound energy. For instance, when a cell phone rings, the sound is produced by converting electrical energy into sound energy. How is a sound produced? 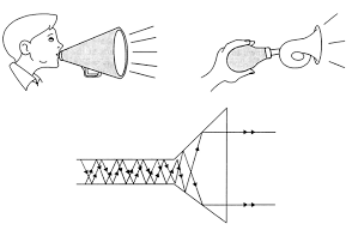 A sound is produced when an object vibrates, that is they move in a ‘to-and-fro’ motion. When we strike a tuning fork or a stretched rubber band, it vibrates and produces sound. The human voice is produced because of the vibration of the vocal cords. String instruments produce sound as their strings vibrate. When a bird flaps its wings a sound is produced. A flute produces sound because the air column of the flute vibrates as air passes through it. In order to propagate, sound requires a medium through which it can travel. This medium could be a gas, liquid or solid. Sound propagates in a medium as the particles of the medium vibrate from a starting point. This means that sound always has a starting point and an ending point. For instance, while you talk to a friend, as you speak, the particles in the air get displaced due to the pressure caused by the sound you produce. They then displace the adjacent particles and so on. In this way, sound travels from your place to your friend’s ears. Therefore, we can say that the particles of a medium do not travel from one point one another in order to propagate sound. Sound propagates because of the disturbance caused by a source of sound in the medium. A wave is a disturbance produced in a medium as the particles of the medium vibrate. The particles produce motion in each other without moving forward or backwards. This leads to the propagation of sound. Hence sound is often called a Wave. How can sound travel through air? 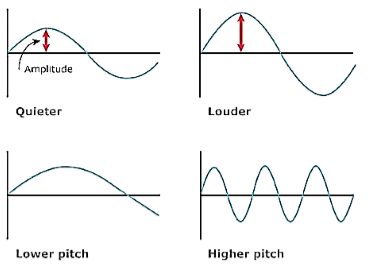 When an object vibrates in the air or produces a sound, some regions of high pressure are created in front of it. These are called the Regions of Compression. These regions of compression move forward in the medium as particles exert pressure on their adjacent particles. WIth alternate regions of compression, there are also regions of low pressure that are in its front. Thes are called Regions of Rarefaction. As the object would move forwards and backwards consecutively producing sound, the series of compressions and rarefactions will be created. This will allow sound to move through air or any other medium as well. If the medium is dense the pressure exerted on the particles will be more in order to propagate the sound and vice versa. Therefore, we can also say that propagation of sound is all about change in the pressure of the medium. A wave that is produced when objects of the medium oscillate is called Mechanical Wave. The sound waves are therefore, mechanical waves. Sound cannot travel through the vacuum as it always needs a medium to propagate. The vacuum contains no air hence no particles can propagate sound. Longitudinal waves - Any wave that vibrates in the direction of the motion is called a Longitudinal Wave. Sound waves are longitudinal because the particles of the medium vibrate in the direction which is parallel to the direction of the propagation of the sound waves.The particles in the medium oscillate to and fro in the case of longitudinal waves. Transverse Waves - A transverse wave is produced when the particles of the medium oscillate in a direction which is perpendicular to the direction of the propagation of the wave. 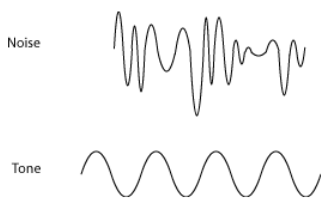 The particles in a transverse wave oscillate in an up and down motion. For Example, light waves are transverse in nature. The compression region is represented by the upper part of the wave curve. It is a region where particles cluster together. The density, as well as pressure, is always high in this region. A refraction is represented by the lower part of the wave curve. It is a region where the particles separate out. Refraction region always has lower pressure. The distance between two consecutive compressions or refractions is called Wavelength. The time taken between two consecutive compressions or refractions to cross a fixed point is called Time Period of the Wave. In other words, the time taken for one complete oscillation through a medium is called a Time Period. The value of the maximum or minimum disturbance caused in the medium is called the Amplitude of the Sound. Amplitude defines if the sound is loud or soft. The timbre or quality of sound is a characteristic with which we can differentiate between different sounds even if they have same pitch and amplitude. The sound which has single frequency throughout is called a Tone. 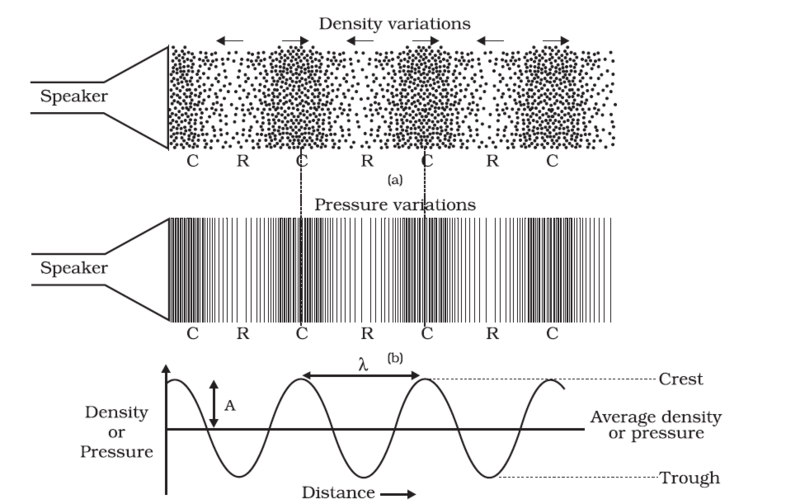 The distance by which a compression or refraction of a wave travels per unit time is called as Sound’s Speed. It is how our ears respond to a sound. Two sounds with same intensity can vary in loudness only because we can detect one sound easier than the other. The temperature of the medium. As the temperature increases, the sound propagates easily. Humidity in the air also affects the travel of sound. As the humidity increases, so does the propagation of sound. When an object travels in the air with a speed greater than that of the sound, it produces a sound with high energy. This energy is loud enough that it can break glasses or damage the buildings. The sound produced is similar to the sound of an explosion or thunderclap. These objects exert a large amount of pressure on the air which causes the production of shock waves in the air. These shock waves produce extremely large and loud sound waves which are called Sonic booms. 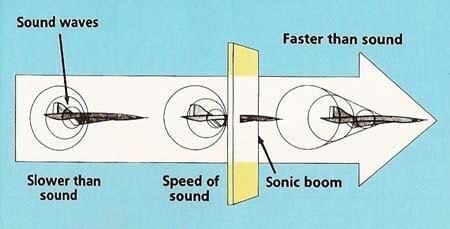 This clearly states that sound travels a lower speed than that of light in air. This is a reason why at the time of lightening, the light is visible instantly while the sound of the thunder reaches our ears after a few seconds. Sound can bounce off a solid or a liquid. 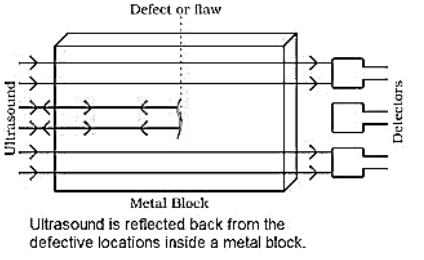 Some materials like metals and walls are called Good Reflectors of Sound as they do not absorb the sound while others like clothes and sponge are called Bad Reflectors of Sound as they absorb the sound easily. 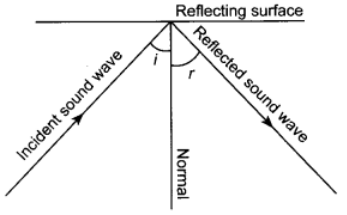 The incident sound wave, the reflected sound wave and the normal, all lie in the same plane. When we hear the same sound again and again in a medium it is called Echo. The sound or echo persists in our brain for 0.1 seconds. 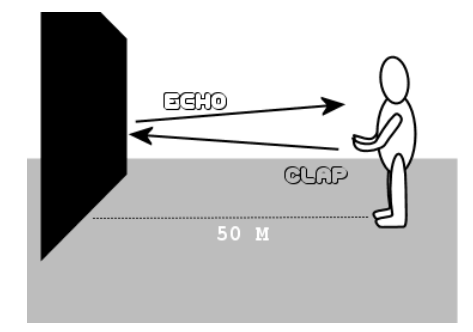 This means that the difference between sound and its echo should be at least 0.1 seconds. It is produced as a result of reflection of sound through a medium. If sound reflects more than once we may hear multiple echoes. It is the persistence of a sound after a sound is produced. A reverberation is created when a sound signal is reflected multiple of times until it reaches a sound wave that cannot be heard by human ears. Auditoriums and big halls often have to deal with reverberation. That is why the roofs are made up of soundproof materials like Flipboard and the chairs in the halls are also made up of fabrics that can absorb sound. Horns, trumpets, loudhailers or megaphones are designed in such a way that sound can travel in a particular direction only without spreading out everywhere. This makes it easier for the audience to listen to the speaker. All these instruments work on the phenomena of multiple reflections of sound. The multiple reflections in a stethoscope tube make it possible for the doctors to listen to a patient’s heartbeat. Concert halls are generally covered so that sound can reflect through it and reach the wider audience. The range of sound – on the basis of the range of frequency of a sound, it is categorized into ultrasound and infrasound. Human auditory range is between 20 Hz and 20000 Hz. Infrasound refers to the sound with frequency lower than 20 Hz which can’t be heard by humans. Ultrasound refers to the sound with frequency higher than the upper limit (20 kHz) of frequencies audible to normal human ears. Infrasound is used to stabilize myopia in young kids. Ultrasound is commonly used to find flaws in materials to measure the thickness of objects, to fund physical abnormalities in various parts of human body, as well as in the form of a sound ranging device called Sonar. Infrasound is influenced by the atmosphere so it can be used to monitor the activities of the atmosphere. Ultrasound is not influenced by any such factors. In particular, natural disasters such as volcanic eruptions, earthquakes etc can be forecasted by monitoring the infrasonic waves. In particular, ultrasound is also used in micro welding. The weld is produced by the application of higher frequency vibratory energy as the parts are held together with force. Hearing Aid- The Hearing Aid contains a microphone which receives the sound from the outer atmosphere and converts it into electrical energy. This electrical energy is passed through an amplifier which amplifies the sound and then moves it to a speaker. The speaker then converts the electrical signal into sound waves and sends it to the ear and provides a clear hearing. The ultrasound waves are the sound waves with high frequency. Due to this, they can travel long distances despite any obstacles between their paths. The ultrasound waves are used in clearing parts of objects that are hard to reach such as a spiral tube or electronic components. In order to clean the objects, they are put in a solution, then the ultrasonic waves are passed through the solution. As a result, the dust particles on the object get detached and fall off them. Ultrasound waves can recognize tiny cracks in metallic objects that are used in the manufacture of large structures, buildings and scientific equipment. The presence of such cracks can lower the strength of these structures and machines. Hence, the ultrasound waves are passed through the metallic objects and detectors are used to detect the waves that pass through the cracks. If a crack is present the ultrasound waves would reflect back. Ultrasonic waves are also used in a medical process called Echocardiography. In this process, the ultrasound waves are passed through various parts of the heart in order to form the images of the organ. Ultrasonic waves are also used in a procedure called Ultrasonography. In this procedure, the ultrasonic waves are passed through the internal organs of the body in order to get their image. In this way, the doctors can find out the cause of a disease or any abnormalities in the organs. The ultrasound waves travel through the tissues of the body and as soon as the density of the tissue changes they reflect back. The reflected waves are then converted into electrical signals which form the images of the internal organs. Ultrasound waves are also used to break the kidney stones. This device is used to find the distance, direction and speed of objects that are present under the water. It uses Ultrasonic waves to do so. 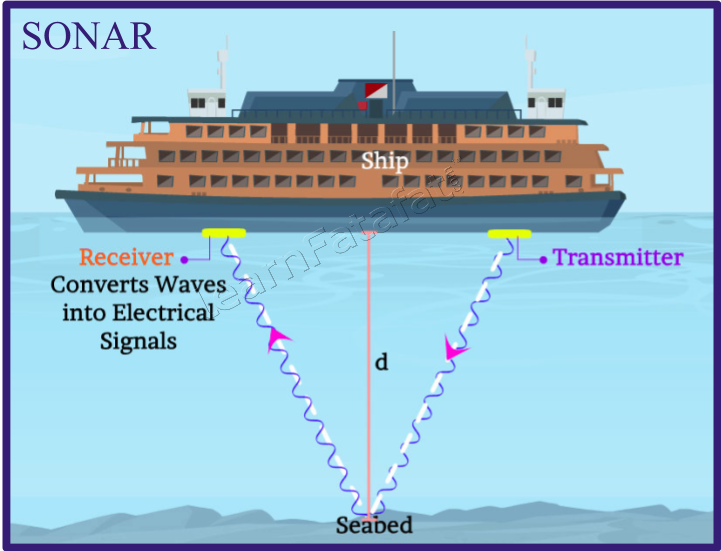 The Sonar consists of two main devices – The transmitter and the detector (or receiver). The main function of the transmitter is the production and transmission of the Ultrasonic waves in water. As these waves travel underwater, they, when hit by an object, reflect back to the detector. The detector then converts these sound waves into electrical signals which are then interpreted. The distance of the object is calculated with the help of the speed of sound in water and time taken by the way to reach the detector. This process is called Echo Ranging. How do bats search their prey? 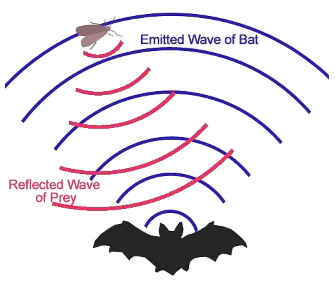 Bats generate Ultrasonic waves. As these waves hit an object, they get reflected back to the bat’s ears. The bats can understand the nature of reflection of these waves and then can decide the position of the object over their prey. Our ears allow us to receive audible frequencies in our surroundings. They then convert these sounds into electrical signals which are then passed through a special nerve called the auditory nerve to our brain. The brain that interprets these signals and responds accordingly. 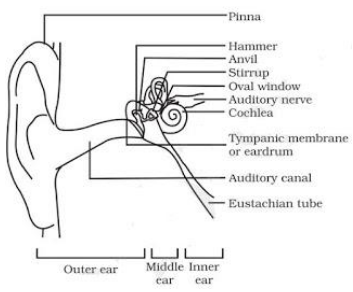 Pinna – The outer part of the ear that gathers sound from the environment. Auditory Canal – Sound collected from the surroundings passes through the Auditory Canal. Eardrum or Tympanic Membrane – It is located at the end of the auditory canal. The eardrum when receives a compression moves inwards because of increased pressure. Similarly, when it receives refraction it moves outwards due to a decrease in pressure. As a result, it starts to vibrate inwards and outwards on receiving a sound wave. The Middle Ear – It consists of three bones (hammer, anvil and stirrup). These bones amplify the vibrations produced by the eardrum. These vibrations are then passed onto the inner ear by the middle ear. Cochlea – It is located in the inner ear. It converts the vibrations into electrical signals which are then carried to the brain by the auditory nerve.